John Forbes talks to SOS about how he became musical director for Ne-Yo, creating live arrangements for one of the world's top R&B artists using recorded parts. As we enter the second decade of the new millennium, the icy finger of economic uncertainty hovers above us all. It has certainly given the music industry a good, hard prod, and as record companies and recording facilities look for ways to adapt and survive, artists are focusing on doing what they've always done: putting bums on seats and money in the bank. 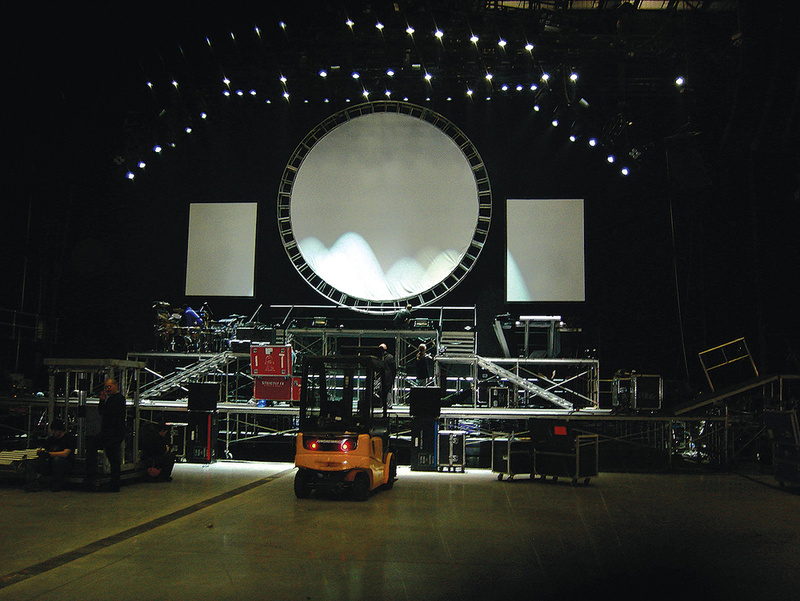 Touring is as important as ever, but while the techniques behind mounting a stadium-filling live show are standardised for a rock band, they're quite different for a studio-based solo artist. American R&B superstar Ne-Yo is the archetypal modern-day music industry operator. Emerging as a songwriter before signing to Jay-Z's Def Jam label as an artist, he's managed to put out four chart-topping albums in five years, picking up three Grammy awards and a pile of other gongs and nominations in the process. As a writer and producer frequently collaborating with the Stargate production team, his list of credits reads like a Who's Who of pop and R&B, plus he's also found the time to set up his own recording studio and record label, Compound Entertainment. And did I mention that he's appearing in two blockbuster movies this year? Clearly, this is not a man short on ambition, and Ne-Yo's latest world tour was always going to be a large-scale event. But what goes into turning his brand of highly polished, chart-topping R&B into a dramatic, engaging live show? It's something that requires the combined skills of a remixer, engineer, programmer, orchestrator and sound designer. Luckily, Ne-Yo's current musical director is all of these things. The man in that role is John Forbes, and he's worn many different hats over the course of an eventful career. A classically trained keyboard player, he has toured with Bobby Brown, Whitney Houston, Rick James and Sean 'Puffy' Combs, as well as engineering and producing records in the studio, writing music for film and TV and acting as musical director for stage shows on Broadway. It was that last role that led, somewhat indirectly, to his current gig with Ne-Yo. "I was hired by [successful actor, writer and director] Tyler Perry in 1999 to put a band together to play theatre,” Forbes explains. "I did that with Tyler for six plays on- and off-Broadway, and I realised that the band was starting to be taken out of the orchestra pit and placed behind the set, so nobody ever saw them. Theoretically, it could have been a backing track the whole time. A track could actually even work better than a band, because my issue as an orchestrator and musical director was that doing eight shows a week for nine months out of a year, sometimes we'd get bored and get a little creative, and sometimes the show might suffer. I was all about doing a perfect show every night. "I'd been musical director for big Sony artists and we always used backing tracks to augment what we were doing live. The label always wanted the live performance to be as close to the mixes from their hit songs as we could get, so we'd lift the background vocals and whatever signature part was a big feature of the hit, and use it to augment the live performance. So I was thinking to myself, why not take that approach in a musical presentation for theatre on Broadway? Forbes realised that while using pre-prepared backing tracks created in the studio could provide total consistency, allowing the live sound engineer the flexibility to create a mix from multitrack recordings would guarantee the best possible experience for the audience, particularly on a large and complex touring production. After a stint on Broadway, Forbes resigned himself to creating music for TV and film in the studio he'd put together in Atlanta, but on returning home it didn't quite work out hat way. "Once I moved back here, I reconnected with all of my crew from the Bobby Brown days, and that changed. One of them's the musical director for Lady Gaga, his brother's the musical director for Usher, another one is musical director for Justin Bieber, and they told me that Ne-Yo might be looking for somebody to be like a 'music guru', if you will, to re-configure his show. It was decided that the stage would be largely clear, with just two musicians playing live alongside Ne-Yo — a percussionist and a keyboard player — leaving space for the star of the show and the obligatory bevy of female dancers to strut their stuff. Supplied with a set-list and the appropriate stems and masters from Ne-Yo's four studio albums, Forbes got down to work. However, the work wasn't as simple as it might sound. The screenshots here and on the next page show some of John's sequencing setup, including Vienna Ensemble Pro, Pro Tools 9, Altiverb and Omnisphere. Where Elastic Audio could not quite stretch far enough, parts were re-recorded in full, while additional backing vocals and tracks were laid down elsewhere to augment what was on the studio masters. 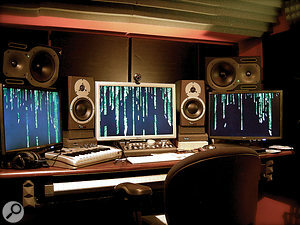 This additional recording took place at Forbes' project studio in Atlanta. Housed in a relatively compact room, the studio is based around an eight-core Mac Pro with an Apogee Symphony 64 card and Rosetta 800 converter, monitored using a 5.1 Circle Surround rig. A second Mac Pro, running Vienna Ensemble Pro, and connected via Gigabit Ethernet, acts as the synth, sampler and plug-in workhorse. 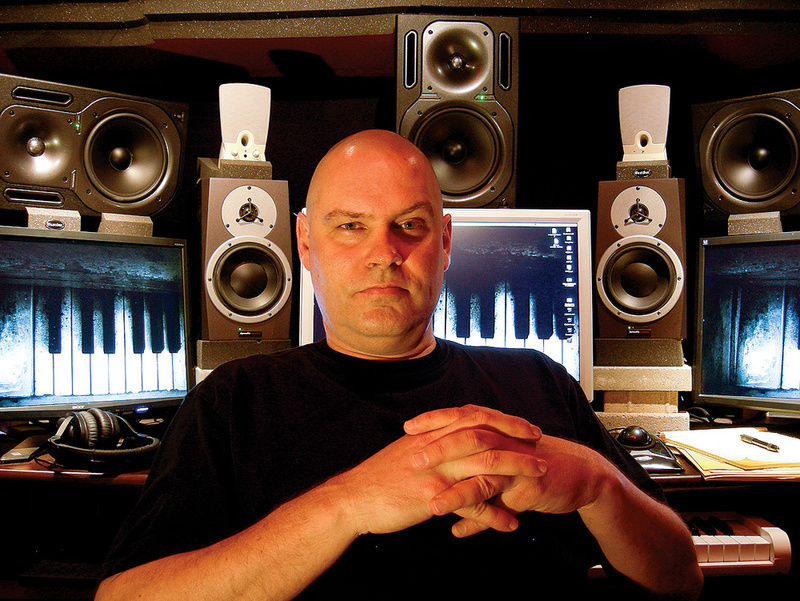 "I'm a big Logic user,” Forbes explains, "but most of the stems were delivered in Pro Tools sessions. I'd recently upgraded to Pro Tools 9, so I did all of the work in Pro Tools. The RTAS horse-power in Pro Tools for audio instruments — particularly the big sample libraries, like Spectrasonics Omnisphere, which I use a lot — is pretty bad, even with my eight-core machine and 24GB of RAM. So I did a little research and started using Vienna Ensemble Pro, and let me tell you, it's amazing. "I use one instance of Vienna Ensemble Pro at 64-bit and one at 32-bit, for all of my cool plug-ins that don't run at 64. 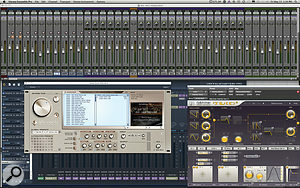 It uses the available RAM without touching the RAM necessary to pre-mix using plug-ins in Pro Tools. 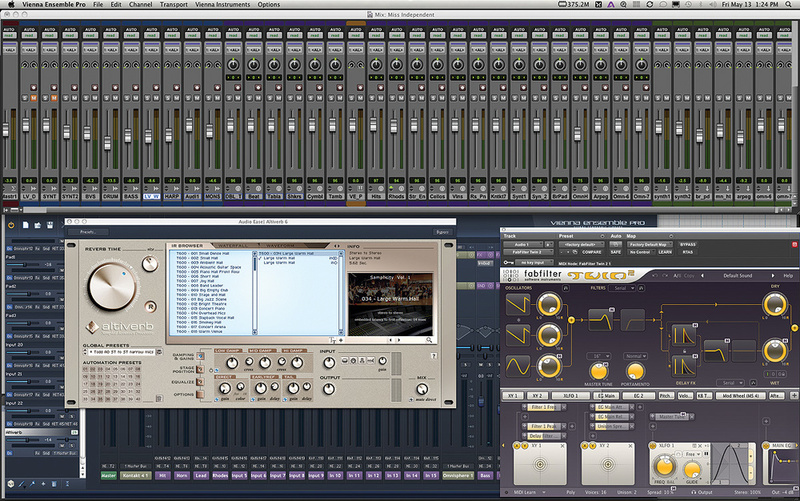 My template is 48 audio channels coming out of the Vienna Ensembles back into Pro Tools. I do all my Native Instruments Battery drums inside Pro Tools, just for simplicity. "You do find yourself gravitating towards certain tools,” he continues. "I use Battery for drum programming because I've used it since Battery 1. Now it's 64-bit compatible and they've just added filtering from the Emu SP1200 and Akai MPC60 on each cell, it's amazing how that affects the saturation of the samples. Other than that, I'm a big Kontakt 4 user, and use it for all my sampling duties. 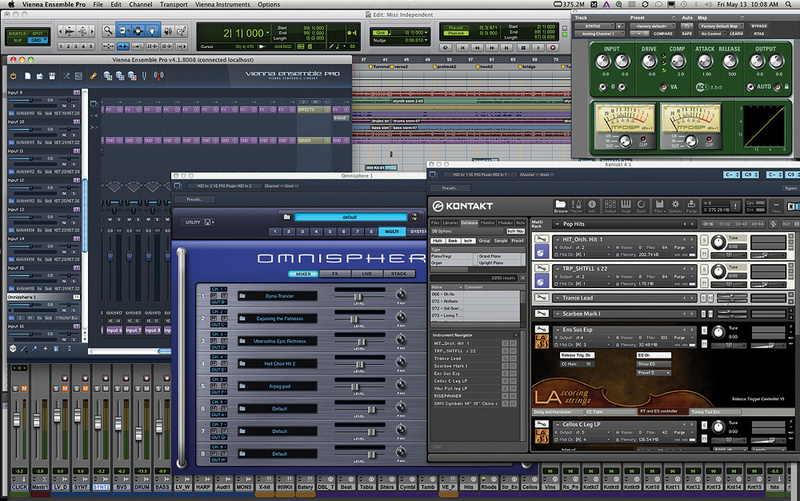 I even use it in Logic for multitimbral samples, and all of my orchestra templates are in Kontakt 4 format now. I'm using three screens — a 24-inch and two 22s — so I can see all my plug-ins and instruments in Vienna Ensemble Pro on my left, the arrange screen in the middle and the Pro Tools mix screen on my right. Everything is right there in front of me, and it's super effective. 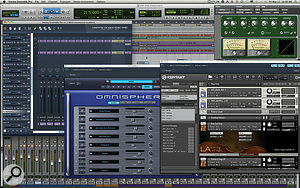 "In Pro Tools and Logic, my go-to plug-in for mixing is the McDSP Analog Channel. The first thing I do when I do a mix is put the AC101 console emulation in the first slot on the 2-bus. The companion to the AC101 is the AC202 tape emulation. I use that on specific tracks: bass, kick drum and so on. I like tracking with that because I grew up before Pro Tools, when engineers would use pre-compression and pre-EQ to really nurse each channel to tape, so that it made more sense coming back on the mix, so I still do the same thing in Pro Tools. 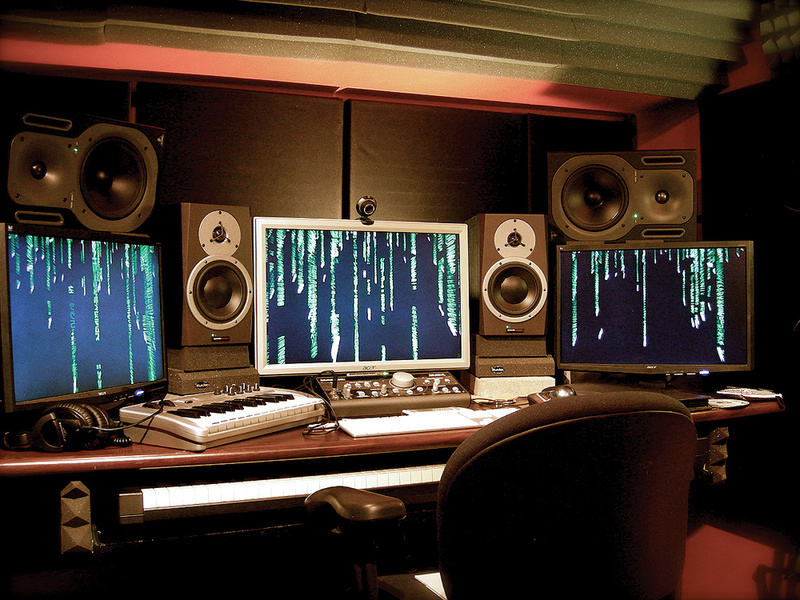 I also love all the Waves emulation software: the SSL bundle, the Neve V-Series bundle and the Chris Lord-Alge Signature Series.” Two MacPros are at the heart of John's studio, connected to three large displays. There's plenty of reference monitoring too, all controlled by a Mackie Big Knob. The whole crew rehearsed the show at LH2 in London before going on tour. Here we can see that the drummer (left) and keyboardist (right) are the only live players. After weeks spent in the studio reworking existing tracks and creating a series of new segues to tie the show together (see 'Orchestral Manoeuvres In The Studio' box), you might have thought it was 'job done' for John Forbes, but far from it. A key facet of his approach is that the project stays live throughout production rehearsals, right up to the start of the tour, and sometimes beyond. The tour party relocated, first to Crossover Soundstage in Atlanta, and then the aircraft hangar-sized LH2 facility in West London, in order to make final preparations for the first date at the O2 arena. While the dancers were working on their routines and the lighting crew were assembling their cues, the audio element of the show was being tweaked and refined as well. 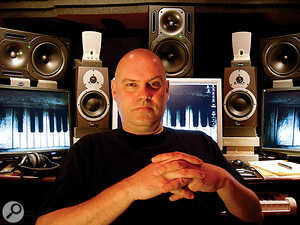 With his Pro Tools rig on site at LH2, and using the full tour PA rig as possibly the most powerful studio monitoring system ever assembled, Forbes and FOH engineer Jaymz Hardy Martin III were able to make final adjustments, not just to EQ and levels, but arrangements and instrumentation too. There was a lot of work still to be done, however. Thanks to last-minute changes to the tour schedule, it was only at this late stage that the crew discovered that one of the venues in Amsterdam had a much smaller, non-automated console. Suddenly, the original plan to run a Mac Pro-based Pro Tools system sending 48 tracks of audio to the FOH mixer was out of the window, and the show would have to be made "much more portable”, in Forbes' words. The temporary solution was to use an Intel Core i7 MacBook Pro with a pair of MOTU Ultralite interfaces, giving a total of 20 outputs to the FOH, minus one for the click track. It was now a question of mixing down the arrangements to the available number of tracks, to give the FOH engineer the means to create the best possible mix for each venue. "Instead of a separate fader for each of the five string instruments, we would just make a string stem, a horn stem and so on,” say Forbes. "For percussion, we kept two stems — high and low — so we got to get the most out of it. I didn't have to have 48 tracks in the end, and Jaymz was still able to mix a really effective show. "He and I had this discussion: technically, if we were to do the show in the same house every night — like a Vegas or West End permanent install production that's in the same place for six months — we could roll in, set up a Digi003 and mix down 40-plus tracks to just four pairs, because the acoustics weren't going to change. Going from venue to venue, it's best to keep all the variables, so you can mix as many tracks as possible, but if you were staying put, you wouldn't need it. After working at this level, I'd say it isn't necessary to use 48 tracks unless you really have 48 distinct sections in the mix, and even an orchestra can usually break down to just seven or eight. Ever the perfectionist, Forbes wasn't quite finished with the hardware either: "The two MOTU Ultralites ran flawlessly, but the Ultralite converters aren't the best in the world. They have a little bit of a lower-mid anomaly and then maybe a 10kHz thing happening where the sound wasn't as bright. I specified a new system using a MOTU 24I/O, which gives you 24 TRS jack outputs in single rack space. The MOTU unit's PCI-424 card goes in a Magma expansion chassis, which plugs into the laptop through the ExpressCard slot. Forbes struggles to find a suitable term to describe this type of live production, given that it's as distinct from a full live band at one extreme as it is from a simple backing track at the other: "enhanced playback” and "virtual band” are both suggested and rejected. Regardless, he's adamant that the only thing that matters in the end is the experience of the audience, not how this experience is created. Almost like a composer of a film score, he knows he has done his job properly when no one notices he was even there in the first place. "The intro that I did for the start of the show was an Armin van Buuren trance kind of thing that lead into the first song, 'Beautiful Monster',” Forbes explains. "On the first night, I was grinning ear to ear because the crowd responded to it straight away. I know from experience that in the UK, like in New York, people tell the truth. They don't play and they don't hold any punches. I was nervous because I'm a musician and I like to think we're really important, but reading the reviews the next day, there was not one word about the 'virtual band'. It was 'best show I've ever seen', 'love Ne-Yo'… They did comment on the dancers being very suggestive, but they can talk about the dancers all they want! If they talk about anything but my part, I'm happy!”. Designed as a grand, 'cinematic' spectacle, Ne-Yo's 2011 tour show was augmented by orchestral arrangements, employing a mixture of string players recorded live and Forbes' extensive selection of sample libraries. Once again, the musical director's focus was on satisfying the live audience in the kind of large venues that an R&B phenomenon plays. "Live, the dynamics have to be exaggerated,” says Forbes. "So there will be solo cello moments and there will be moments of 24 contrabassos. Even then, I'll augment the sound with a synth. I'm a big fan of Rob Papen Blue, it's a synthesizer I use for pads and it's just ominous. I use Omnisphere as well, but for some reason I really feel this Blue plug-in. "You don't usually listen to an orchestra in a really big venue like an arena unless it's somewhere like the Hollywood Bowl, which is built especially for it. I mean, Carnegie Hall — that's not an arena! It's hard to really get the impact that an orchestra should have when you're in a place like Wembley, so you do what you can to prop it up and reinforce it without losing the reason for using an orchestra in the first place.